Jerusalem’s new favorite color is pink, and it shows. The city is bursting with beautiful pink lights in support of breast cancer awareness, research and the upcoming race. It has been reported that five-thousand participants are going to be running the two and a half mile (four kilometer) race tomorrow through the streets of the Jerusalem’s Old City. The race will begin in Sacher Park and continue on through downtown Jerusalem before it concludes in Gai Ben Hinom which is just outside of the Zion Gate. 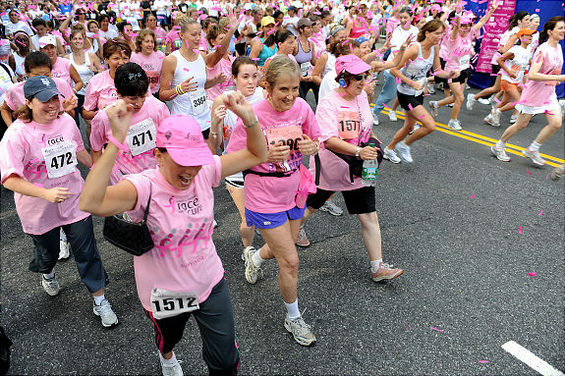 Susan G. Komen Race for the Cure in partnership with Hadassah and the City of Jerusalem are sponsoring this wonderful event, which will raise public awareness about breast cancer and hopefully rake in donations that will help to find the cure. 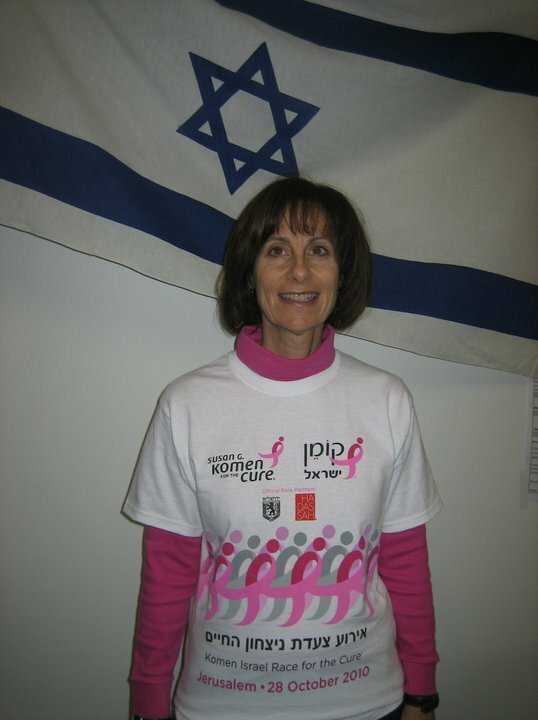 Boston Chapter President Robin Shuman sporting a Susan G. Komen race for the cure T-shirt.